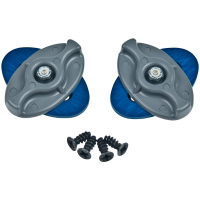 The Voile Crampon Disk Set contains spare turn knobs for your universal Ski Crampons. The Heavy Duty Mountaineer 3-Pin from Voile is made with extra stout .125 inch aluminum to stand up to the rigors of hard tele skiing. 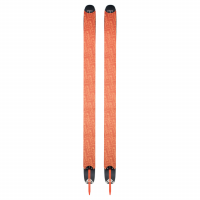 Add more versatility to your splitboard with the Splitboard Dual Height Climbing Heels from Voile. 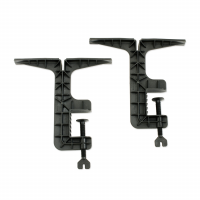 This kit includes a pair of dual-height climbing heels/wires, along with screws for attachment. Breathe life into your splitboard skins with the Voile Splitboard Skins Tail Clip Kit. This kit include a bomber riveted tail attachment, a durable urethane Voile Strap and aluminum tail clip. Now you can keep climbing when things get a little sloppy. 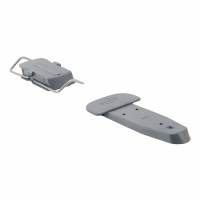 The Split Decision Mountain Plate Kit includes a pair of SD Mountain Plate Bindings that are constructed with stainless steel and tough nylon parts for exceptional durability. Tele Pro Shovel by Voile - Buy Snow Sports at Mountain Gear The Voile TelePro shovel comes with a telescoping shaft to decrease weight for the minimalist. Ideal for backcountry and patrol use. What's up with the Voile T-Wood Mini Avalanche Shovel, you ask? Simply put, it's a shovel AND a wood saw. From pruning branches to digging snow pits to cutting firewood, this professional-grade, rescue shovel/saw redefines the term "handy.? ?